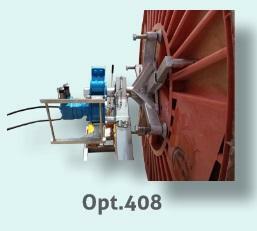 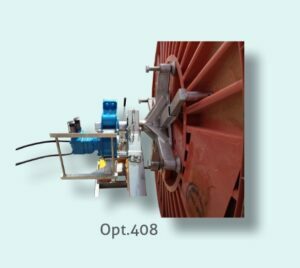 Hydraulic motor for unwinding and unwinding cable or wire on a steel or wooden drum. 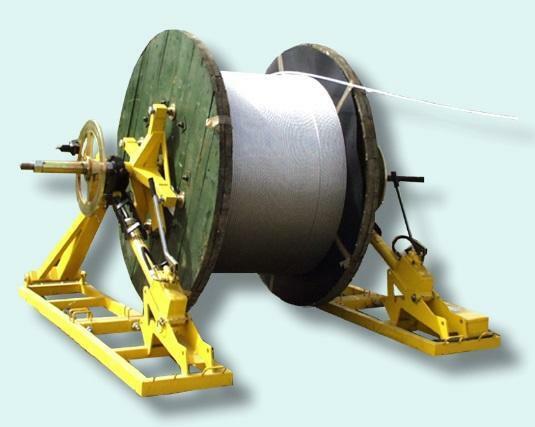 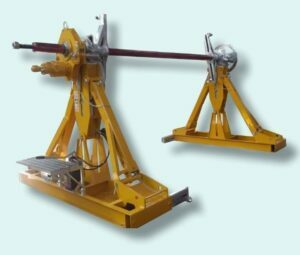 Stands fit for steel or wooden reels, used for lifting a reel and braking it while stringing the conductor/cable. 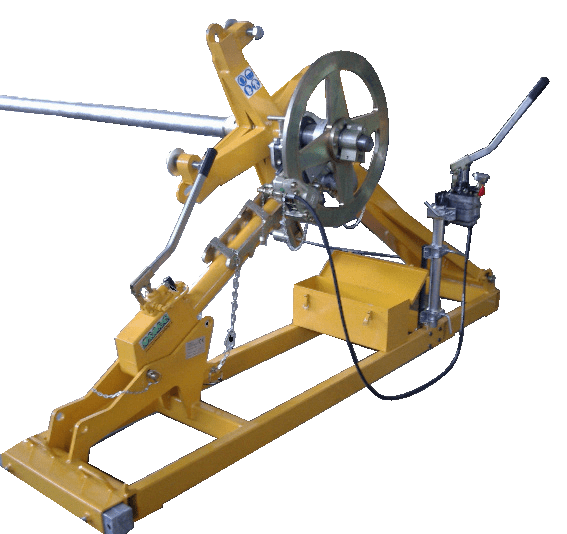 The reel stands, as an option, can be hydraulically driven by a hydraulic power unit. 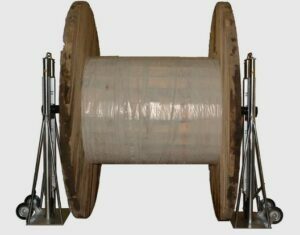 Reel-stands are supplied in pairs.